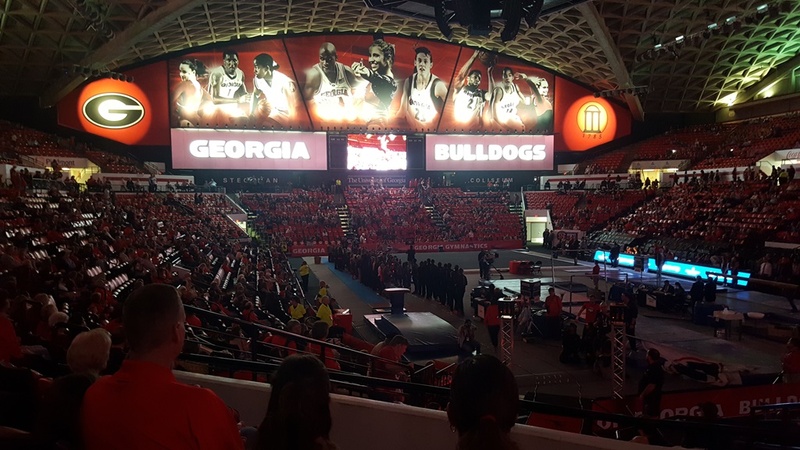 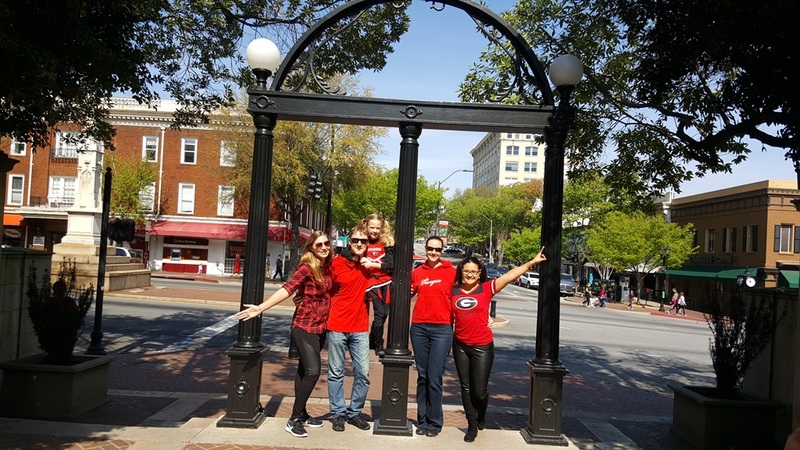 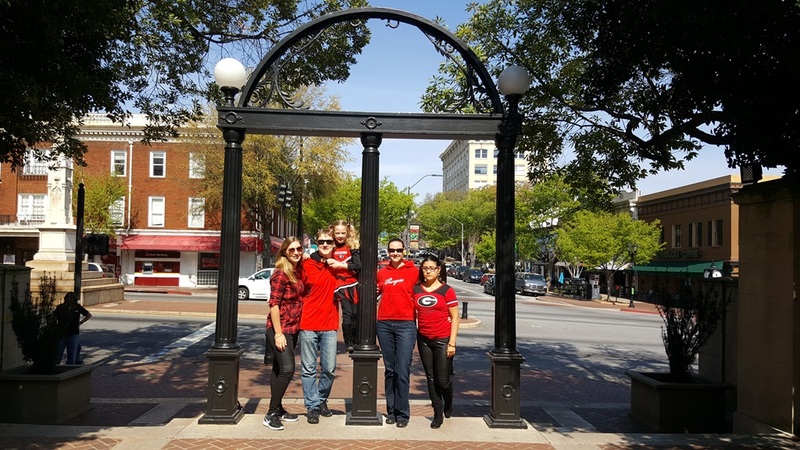 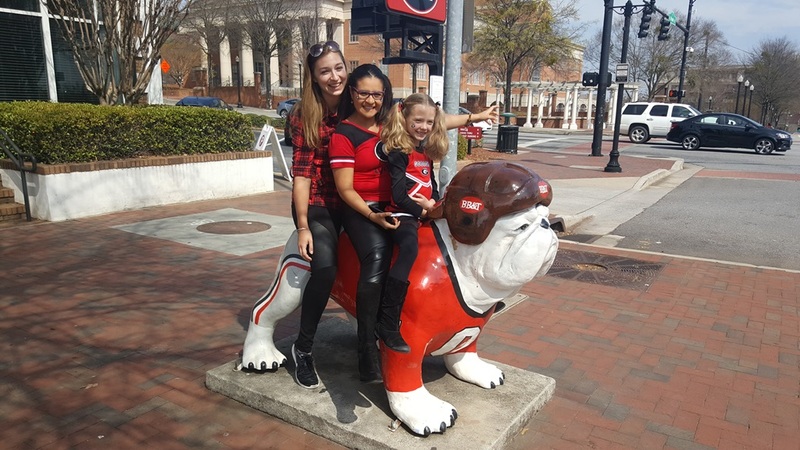 Welcome to Athens, Jennifer and Evette! 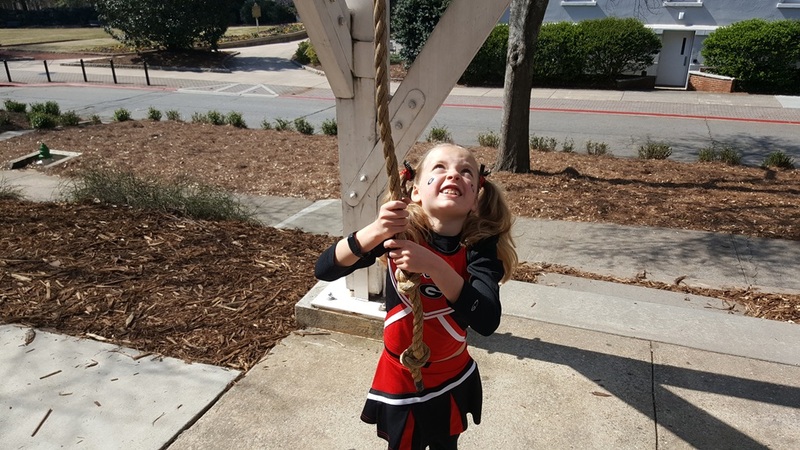 Walk through north campus and ring the bell. 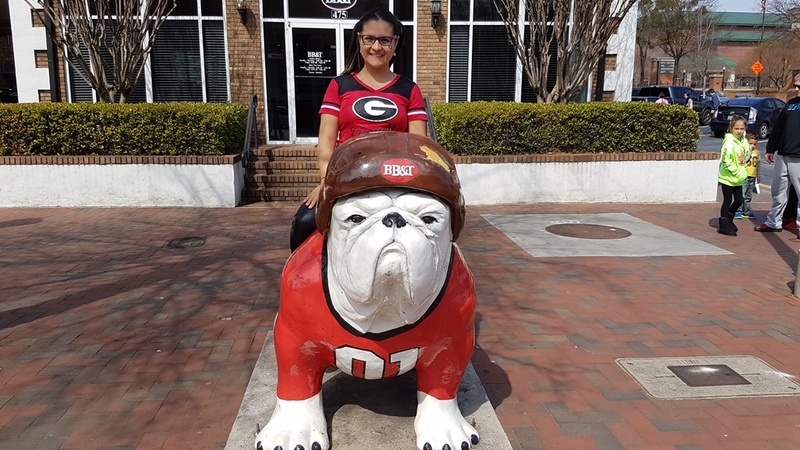 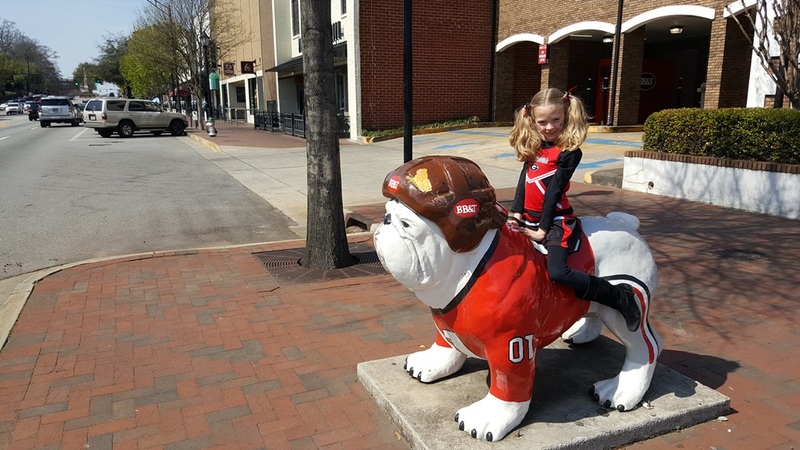 Climb on the bulldog in front of BB&T. 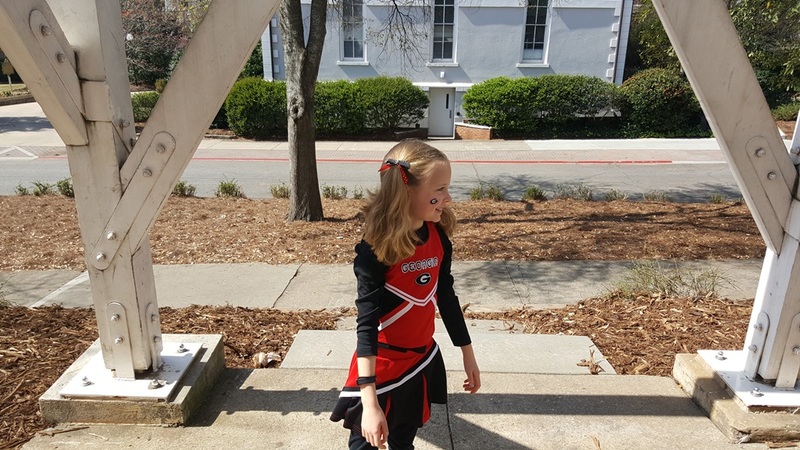 Then off to a GymDogs meet.